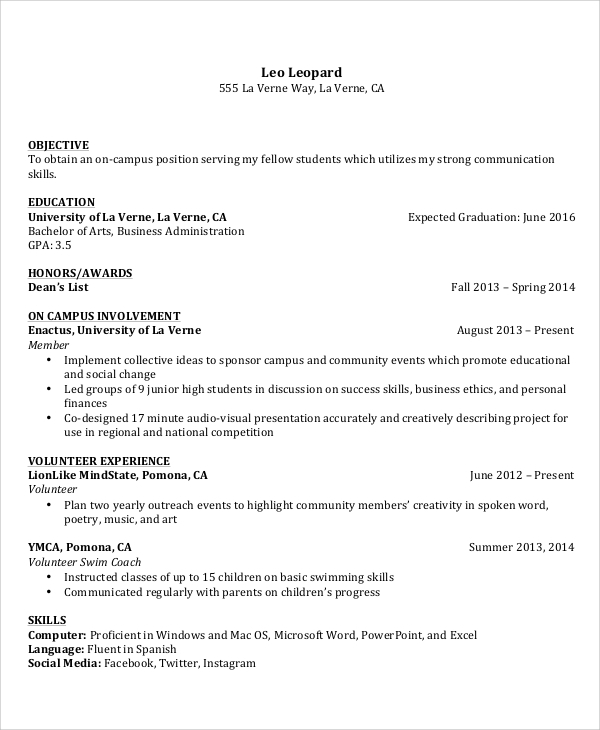 A resume is a document that sets the tone of the professional life. A good and Professional Resume will help a candidate score over other candidates instantly. The following examples of resume have the best style and design for presenting a world-class resume to get an interview call and will help in creating a good impression in the mind of the interviewer. There are different types of resumes presented below such as resume for a graphic designer, automobile technician, daycare worker, dental assistant and general resumes for everybody. This is a perfect a resume for an automotive technician. The sample contains all the necessary points to impress the interviewer and it is well-structured. It is clean and highlighted points are easily noticeable. 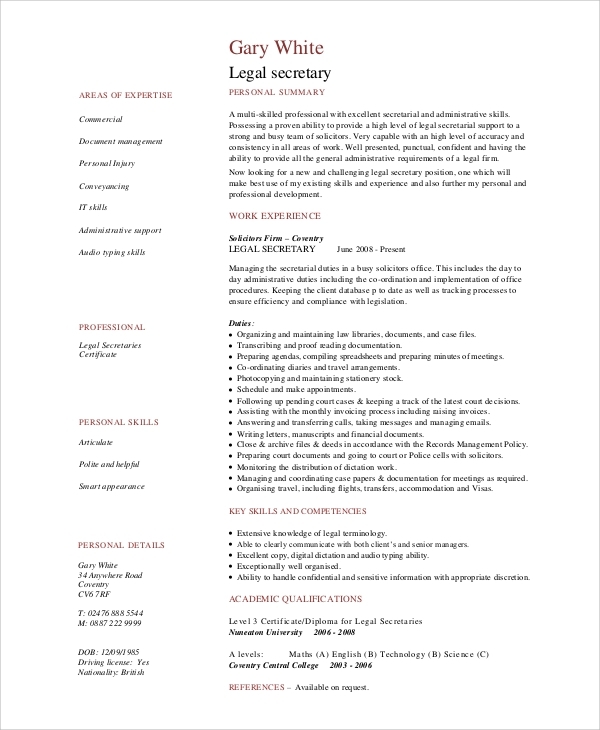 It is a one-page resume with key highlights, qualifications and experience, work history, and other necessary details. 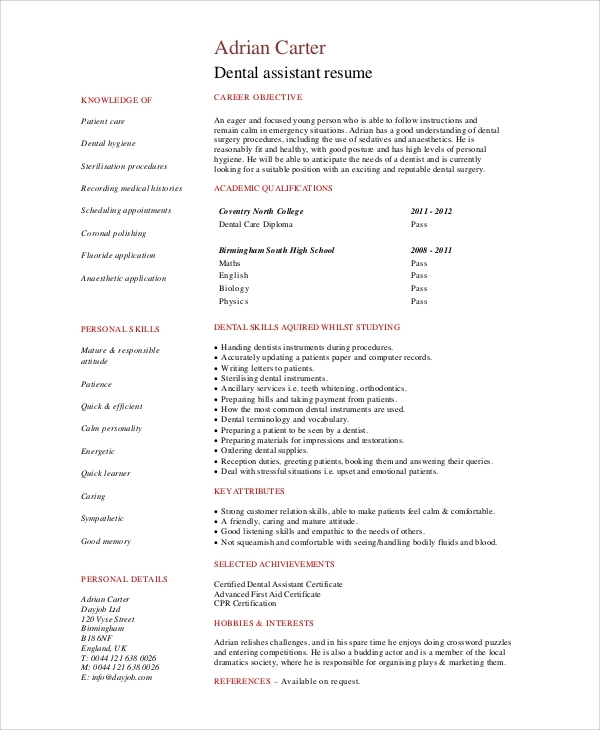 This is an amazing resume sample for applying for a dental assistant post. It has a great layout that will help you in highlighting your knowledge base and personal skills. It also states the key attributes and achievements along with personal information. This is a perfect resume example for a job in a daycare. It states the objective, followed by the professional highlights that should strike the chord. Then it moves on to the certification, child care skills, work experience, education and additional capabilities and reference if any. 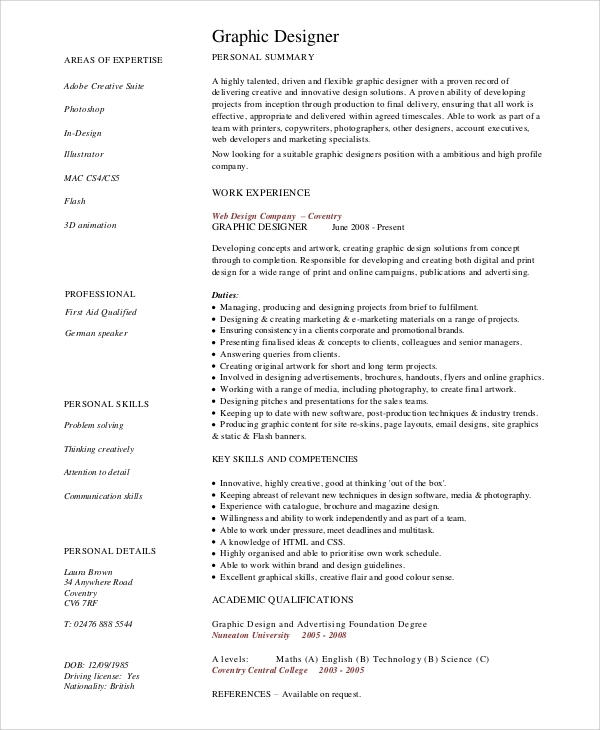 This is a complete and the most impressive graphic design resume sample that you will come across. The layout is unique and it shows the creativity of the person. It has a personal summary of work experience, responsibilities, and qualification on one side and professional and personal skills and other highlighting points on the other side. 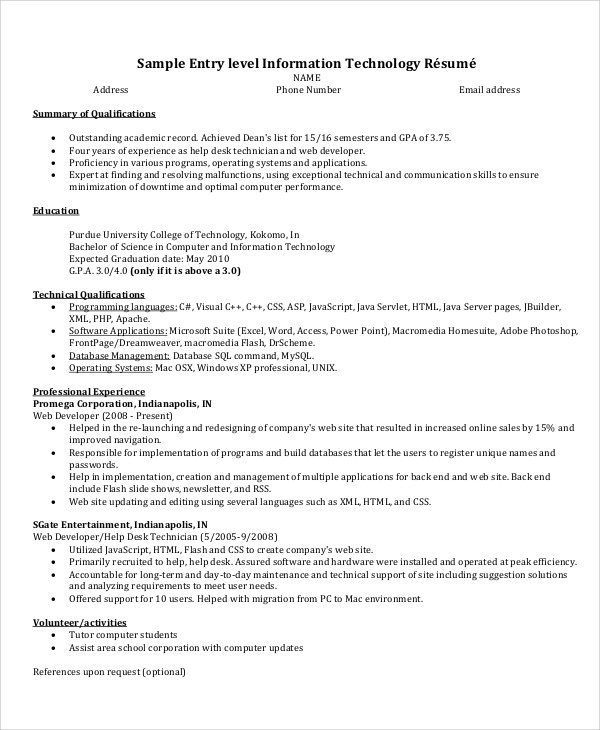 This is a perfect format for writing an awesome professional resume. It highlights the headings and it states you the points on how to prepare a resume according to the need. It explains the importance and guidelines to write a reverse chronological resume and a functional resume. Resumes are mandatory to apply for new jobs to avail better opportunities both professionally and financially. Be it a fresher or an experienced professional, a well-crafted resume will create the ultimate impression in the mind of the interviewers. 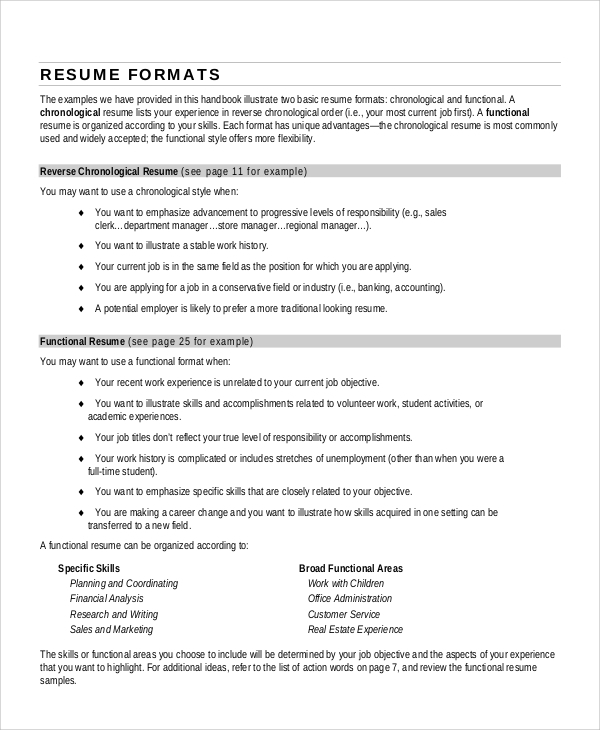 The above-mentioned resumes have a unique style of representing the key points that will strike a chord in the mind of the interviewer to give you a call for the interview. They are modern, professional and clean-structured. They also come with guidelines for the freshers to prepare an awesome resume in their fields. You may also see Sample College Resumes. The targeted audiences for the resume examples are those specific people for whom they are designed. 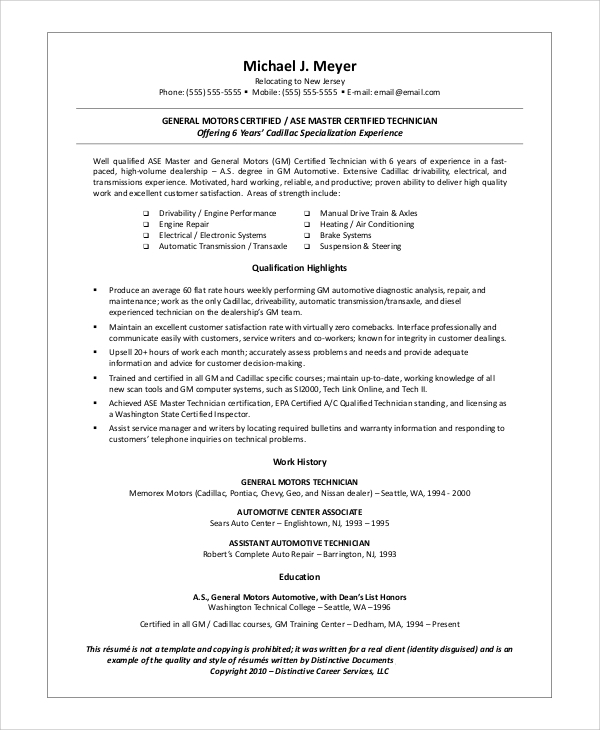 Automobile technician resume can be used by technicians in other fields as well. Similarly, graphic design resume can also be used by any creative person for other similar jobs. There are guidelines to prepare a Sample Resume for freshers to get their first job. Likewise, there are dental and medical related resumes for the freshers and the experienced professionals in such fields. 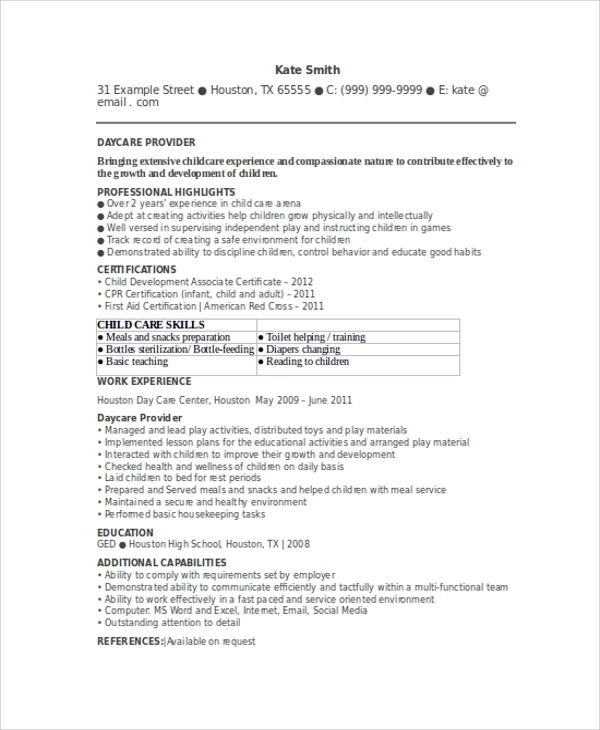 The above-listed resume examples are perfect for candidates in the specific fields such as dental assistant, daycare, automobile technician or graphic designer to score over their competitors easily. There are also guidelines for writing a resume for any category of work so that it will look like a world-class professional resume. All you need is to edit the examples or form your resume around them following the same style.